Smartphonemagz.com - Samsung becomes the top manufacturer in Android market with Galaxy series. Moreover, the most prestigious one comes from S series. People expect much from Galaxy S8 because other competitors always try to capture this phone's technology and design. From Samsung Galaxy S8 full specification, the most visible thing is its design with a bezel-less concept. 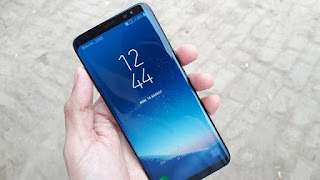 S8 and S8 Plus series is the first smartphone from Samsung that applies the bezel-less concept. At the front side, you will see deep glass surface that covers the entire screen. There is no room for home button since Samsung integrates it automatically into home screen area. Besides the display, this phone receives an upgrade on hardware, software, and camera. As you know, a camera is a reason why Samsung is at the top list when you're looking for a smartphone for photography. 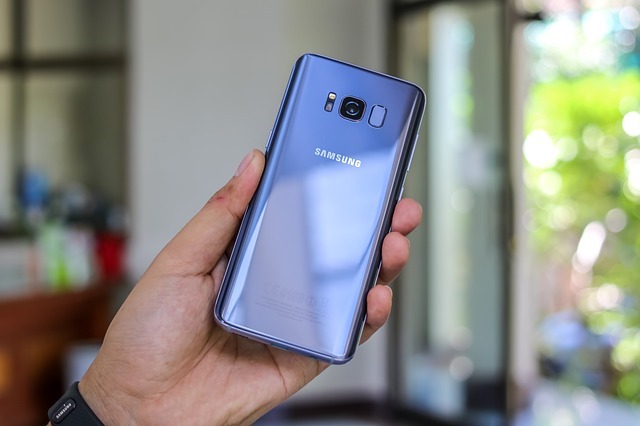 Samsung Galaxy S8 full specification includes few aspects such as the design, display, hardware, operating system, camera, sensor, battery, and other features. This smartphone might look different from its predecessor, but some features are quite similar. Let's discuss further. The premium smartphone is not only about sophisticated technology, but also the elegant and fancy design. In this segment, people want the complete feature and ultimate capability without losing artistic touch. This is what you will see from Galaxy S8. For your information, S8 Plus is another variant that has a longer screen and bigger RAM. Nevertheless, both have similar tech and features. Samsung Galaxy S8 full specification uses AMOLED display with the size of 5.8 inches and the screen resolution of 2960 x 1440 pixels. Other features on display are Gorilla Glass, 3D touch, HR10 compliant, multitouch, and IPS tech. The entire body combines glass, aluminum, and metal to build the strong frame. This phone still works in the rain and can withstand water up to 1.5 meters. Well, the hardware is the key to a premium smartphone, particularly Galaxy S8. Based on the official website, Samsung releases two versions of S8 for a different market area. The first version uses chipset and GPU, which are Exynos 8895 and Mali G71 MP20 respectively. Those are the specs for Europe, Middle East, and Asia market. For USA and China, the chipset relies on Qualcomm Snapdragon 835 and its GPU is Adreno 540. Even though both have different specs, Samsung still keeps the similar capability and performance for both versions. The next things on Samsung Galaxy S8 full specification are RAM and storage. Its RAM uses capacity 4 GB and 64 GB for internal storage. You can extend it with slot microSD up to 512 GB. The operating system is Android 7.0 or Nougat with a capability to upgrade to the recent version. The front camera uses 8 MP with some features, like wide selfie and F1.7 aperture. The rear camera is 12 MP and the features include dual pixel, slow motion, optical image stabilization, hyperlapse, panorama, food mode, and pro mode. For both cameras, the features are filters, quick launch, grid lines, motion photo, timer, location tag, voice control, stickers, HDR, and autofocus. The camera is capable to record video up to 4K mode. After exploring camera and hardware aspect, you should see some features that improve this device's capability. It works to LTE network, but it depends on mobile operator and local provider. Connectivity relies on Wi-Fi, hotspot, Bluetooth 5.0, GPS and USB type C. You can listen to music via internal speaker. Moreover, Samsung still keeps 3.5-jack audio in this device. To support the performance from Samsung Galaxy S8 full specification, Samsung adds the battery with capacity 3000 mAh. Besides, it works properly for NFC and other digital payments. Well, those are the specs that everyone wants to have in the single Android smartphone. All the information on this website is published in good faith and for general information purpose only. Smartphonemagz.com does not make any warranties about the completeness, reliability and accuracy of this information. Any action you take upon the information you find on this website (Smartphonemagz.com), is strictly at your own risk. Smartphonemagz.com will not be liable for any losses and/or damages in connection with the use of our website. Read THIS PAGE for more information. Smartphone Magz is an online portal that discusses about smartphones spesification, price comparison, game & apps, and many more.